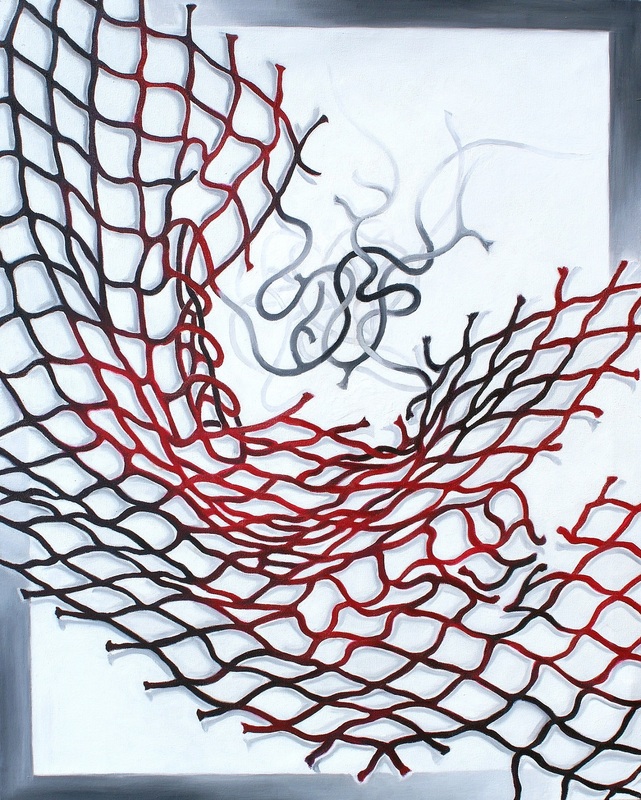 A portrait of a net in tension with the geometric frame and with different picture planes – the net itself with its illusory/illogical shadows cast on a seemingly shallow background; the painted, illusory frame fading into indeterminate space, and the white receding background into which a tangle of loosened strings dissolves. The illusory canvas frame is both image carrier and dividing border between the two-dimensional surface and the three-dimensional real space. Additionally, it is a container for play with our visual perception, reality and illusion.